Coming up with a strong password gives me a headache. Here’s the thing: I used it everywhere. Online banking and app, auto and cable bill pay, all my social media accounts (yes, all), shopping behemoths… and on my corporate network. I changed it up periodically at work, because they made me. But my changes were rudimentary – last time I used 7! at the end, so this time I will just change it to 8! Easy enough for me to remember, but I also put it in the notes of my contact on my iPhone, just in case. I don’t have a problem calling myself out on this, because I know you do it too. When I came to work at ID Agent, I learned exactly how long my clever password had been out on the Dark Web, and it was a long time. I have had several credit card breaches over the past few years, and who knows what exposure I unknowingly caused elsewhere… (sorry). Now that I have seen first-hand my own password exposed, I am much more careful, but most importantly I no longer think “that only happens to other people.” I follow the rules of basic password security: don’t write them down, use a password manager, use two-factor authentication whenever possible, and don’t use anything that’s easily guessable. And I enrolled in personal identity and credit monitoring, so I know when there’s activity on my personal credentials that requires attention. There are lots of other tools we use to ensure the security of our business network, but I now understand the importance of MY ROLE in cybersecurity – both for my employer and my personal credentials. 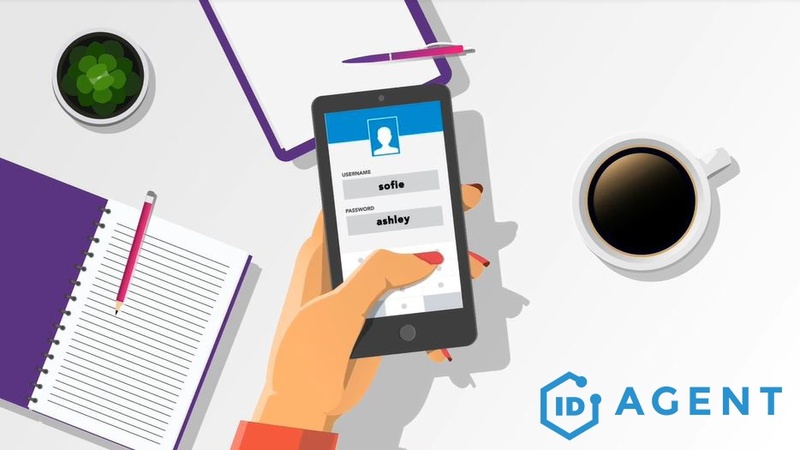 At ID Agent, our mission is to help businesses and individuals to secure their assets and their identities, and part of my job is to provide tools for our Partners to educate their customers about the benefits of Dark Web monitoring and personal identity and credit monitoring. That’s something I can feel pretty Gr8 about when I come to work every day. Watch a video about passwords and Dark Web exposure. Are you an ID Agent Partner? Let us add your logo and contact information to the video above, so you can post it to your website! Contact the Account Management team to find out how.